Says Joe Maddon: “The volunteers are the unsung heroes. Without them, none of our efforts occur.” Every month, the Respect 90 Foundation will salute a distinguished volunteer from the communities of Tampa Bay, Chicago, Mesa, Arizona or Hazleton, Pennsylvania. Respect 90 will present a $1,000 grant to that volunteer’s charity. Should you have someone who is deserving, please let us know. Michael Airhart began his life’s work as an eight-year-old in a single-parent apartment in the projects on the South Side of Chicago. He just didn’t know it yet. It was there he learned to cook and he learned to sew. 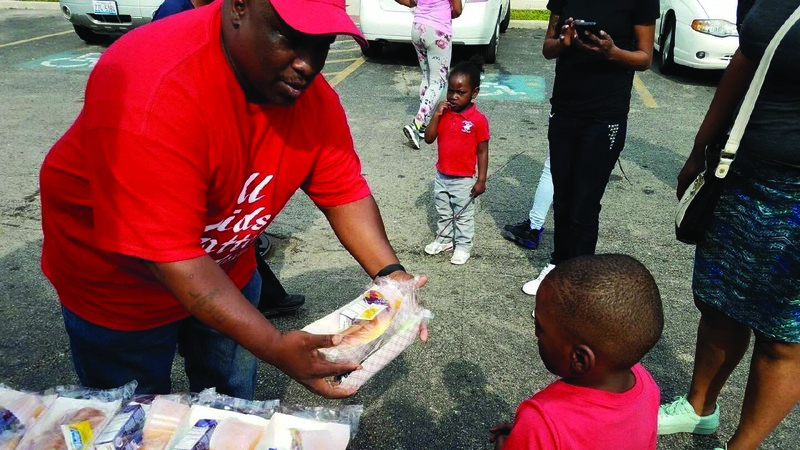 Most importantly, he learned to provide for himself, two brothers and others in the city’s largest public housing development, Altgeld Gardens. “Many of the parents were on drugs or just disappeared, so we had to survive,” recalls Michael, now 49. Today, he is still known on the street as someone who cares. Seven days a week. Six days a week, he’s out on the streets by 7 a.m. dispensing hot food from 15 or so pans out of his van. On some days, the clothes he hands out include Air Jordans, donated shoes he receives from all over the world through his Jordans for the Homeless program. Soon he will unveil his new gift, Chicago’s first food truck for the homeless, complete with a shower in the back. “A lot of people on the streets know me and they know they can count on me,” says Michael. 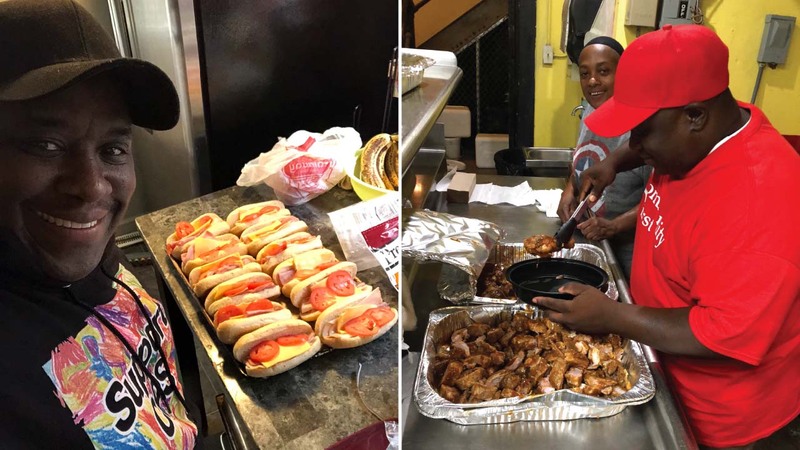 It’s no different at the North Side Housing and Supportive Services Shelter, where every Wednesday he provides and serves hot meals and often offers up soulful gospel, funk and disco as the shelter’s deejay du jour. 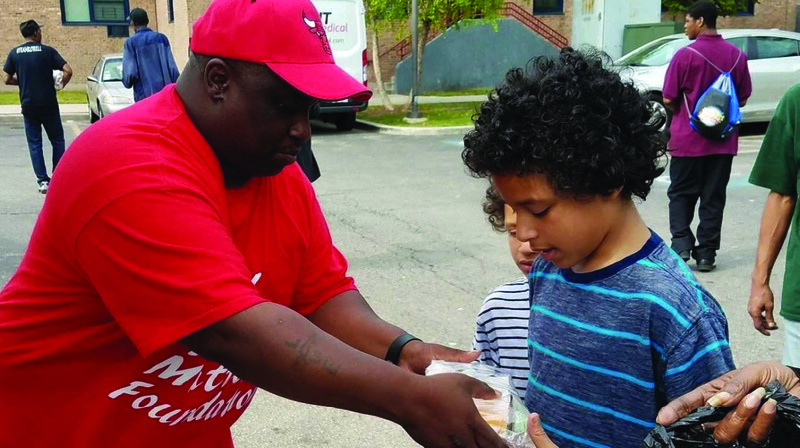 Since 1983, North Side Housing & Supportive Services has been working to eradicate homelessness in Chicago by providing emergency housing and social services to Chicago’s most vulnerable residents. 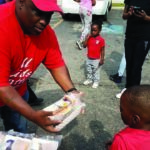 The shelter serves people regardless of their situation. The aim is to first get people off the streets to address any compounding issues, working with each to find long-term stability so that they can go on with their lives. “I love that place,” Michael says, and the feeling is mutual. 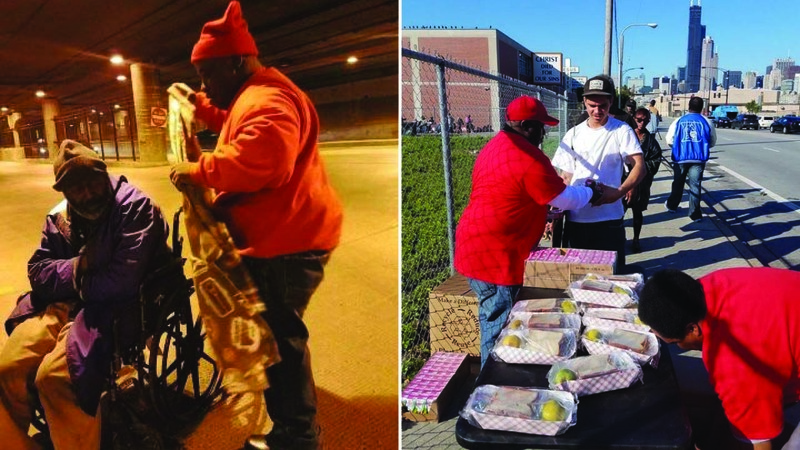 While Michael has been serving Chicago’s homeless for a number of years, his devotion went to the next level after a bitterly cold night about a year ago. 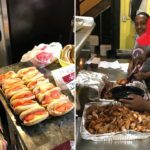 Michael and a friend, activist Andrew Holmes began a fundraising effort to benefit the North Side Housing Shelter. 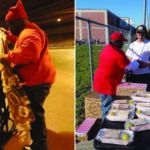 The campaign kicked off when the two men spent a night on the streets. Not just any night. Temperatures overnight hovered around zero and wind chill values dropped to 20 below. Michael’s body shut down at one point during the night, but with the help of one of their homeless camp’s permanent residents, the warmth returned to his body. The ends justified the means. The fundraising efforts netted more than $10,000 for North Side Housing. Equally important, a relationship was born. “I introduced myself to the folks at the shelter and from that day forward have been there ever since. 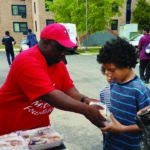 From that day I have been serving the homeless faithfully every day,” says Michael. And by night, he is devoted to his other passion. Michael makes mascot costumes, a passion also born out of the projects. “I took a sewing class with the elders when I was a kid. To this day, I don’t know why,” he says with a smile. He has designed mascots for numerous teams and personalities and even created Sparky, the firehouse dog, his first. His work can be found on Facebook @nextlevelcustommascots. 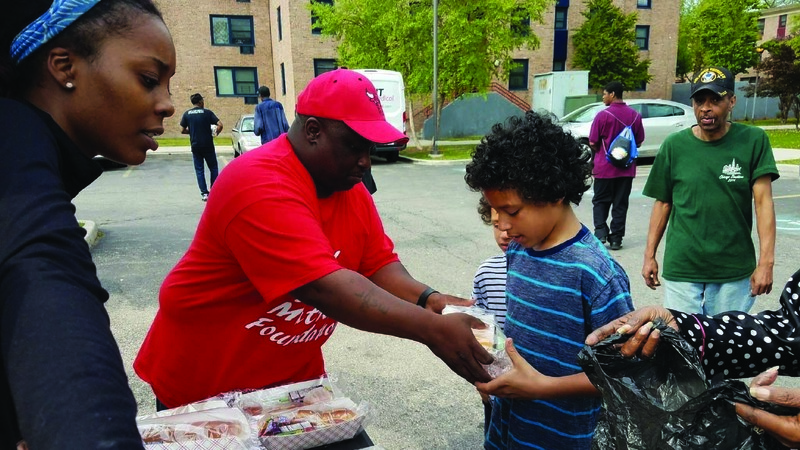 While his mother and grandmother eventually moved the family to a better neighborhood, for Michael, the projects are never far away. Luwana Johnson, Director of Interim Housing for North Side Housing, has this to say about Michael’s impact on others. For more information on North Side Housing and Supportive Services go to www.northsidehousing.org/. Click here to download this story as a .PDF.